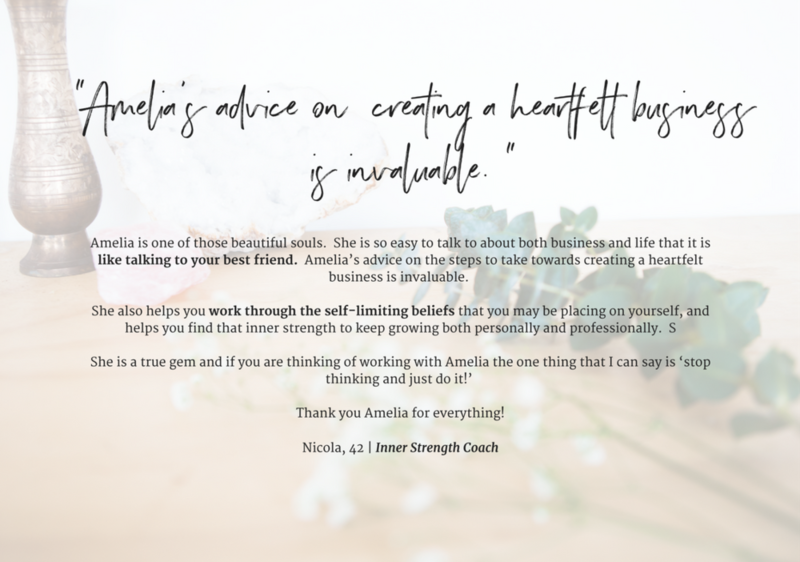 If You want to get amazing clarity on your ideal customer and big vision for your business contact Amelia a distinguished Business Coach Perth. As you may know, I’ve got a bub on the way! I’ll be taking maternity leave in 2019 so I’m currently doing my final intake of coaching clients for the forseeable future (I’m going to feel into when it feels right to come back to coaching after bub arrives). I’ll be taking clients up until October 31st, 2018 so if you’re thinking about coaching, get in touch as soon as possible! You're feeling excited and inspired to make a difference in the world. You're ready to live the abundant, passion-fuelled life of your dreams. Your purpose and big idea are bubbling away inside you. But, something is stopping you. On the other side of all that inspiration is a touch of overwhelm! Your inner critic is piping up, louder than ever to tell you that 'you're not special enough', not good enough, that you don't know enough, that what you want to do has already been done. It's telling you that you can't make money doing what you love. It's telling you that selling, marketing and running a business like-a-pro, just aren't your cup of tea. Beautiful, I know exactly how you feel! I've gone from inspired but overwhelmed, excited but wracked with fear and self doubt to the owner of a successful online business. 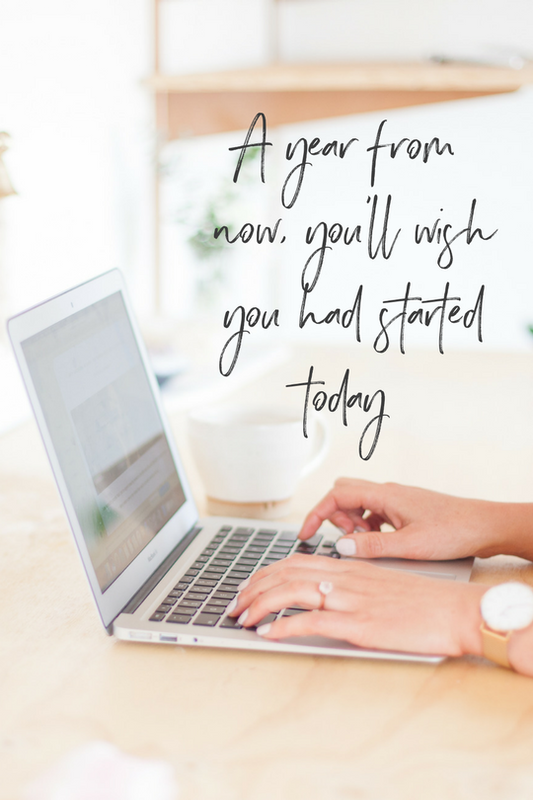 I've moved through my resistance to selling and putting myself out there, peeled back layers of authenticity, and thrown myself into learning everything I can about growing a online biz with soul. Now, my blog receives thousands of views every month, I have a thriving Facebook community, and sell out workshops. I created my wildly popular group mentoring program The Soul Sisterhood and filled my private coaching schedule - to date, I've mentored over 500 women. I've been featured on podcasts, huge wellness sites like Mind Body Green and JSHealth, and sold thousands of my digital products. Not only that but I've built a lifestyle that I love - because that's what working for yourself and following your passion is all about. And I want to share everything I've learned along the way with you. I want to give new coaches and online business owners the chance to bypass that overwhelm and confusion. I want to guide you to start turning that dream into your reality - without having to figure it all out the hard way. Because sharing your gift with the world shouldn't be held back by confusion about content, social media stress, or marketing fears. You've got a passion-fuelled idea, blog, or a business that you're ready to take to the next level. You want to get amazing clarity on your ideal customer and big vision for your business. You want to step out of social media stress, and into social media simplicity. You want to authentically connect with your dream clients and tribe. You're ready to turn all that inspiration into amazing content, packages, and products. You want to experience financial abundance doing what you love. You're here because you're ready. You're here because you're heart is telling you that your time to shine, is NOW. and fear being in the drivers seat. (and you know that if you don't you'll stay stuck exactly where you are now). Ready to get started or have some questions about Business Coaching? No thanks, just email me details, I'm ready to get started!